Are portable, prefabricated homes a viable short-term answer to severe housing shortages? 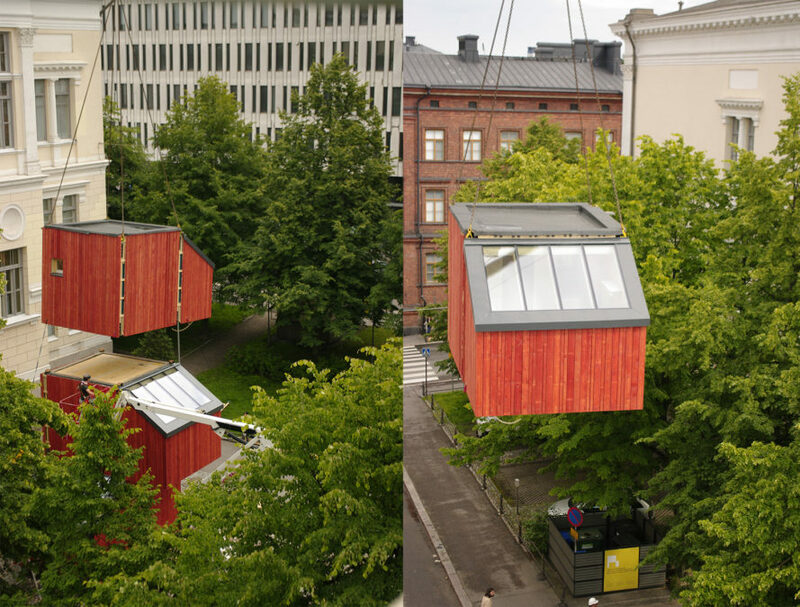 Finnish students of the Aalto University School of Arts Design and Architecture say yes, and designed and built a modular living system as proof. Developed as part of the Wood Program 2016 studio project, the prefabricated prototype, called Kokoon, was conceived as an affordable housing alternative that can be assembled on-site in just one day. The compact 35-square-meter Kokoon prototype comprises three modules to create a comfortable and light-filled living space. Though the prototype stacks the modules vertically, the flexible design allows for different configurations that can be expanded both vertically and horizontally to fit different sites. A large slanted skylight with wood slats let in filtered natural light on every level. Each module can be customized for different uses; the prototype includes a bathroom, dining area, kitchen, bedroom, storage, and workspace. Kokoon was created for temporary lodgers in mind, such as students, asylum seekers, and the homeless. 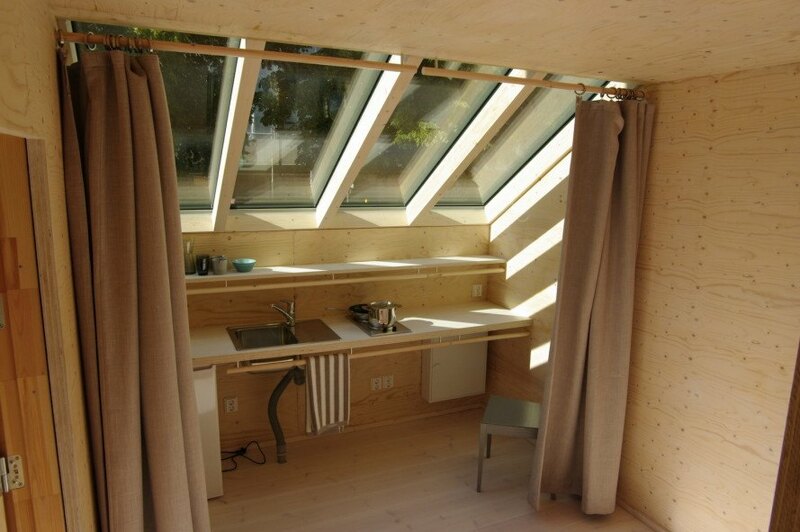 The prototype units, assembled off-site in Otaniemi, were built with a laminated veneer lumber frame and clad in spruce. The interior timber panels and furnishings were left untreated. Kokoon is currently on display at the Museum of Finnish Architecture and the Design Museum in Helsinki and will be displayed in various locations across Finland over the next few years. The compact 35-square-meter Kokoon prototype comprises three modules to create a comfortable and light-filled living space. Though the prototype stacks the modules vertically, the flexible design allows for different configurations that can be expanded both vertically and horizontally to fit different sites. A large slanted skylight with wood slats let in filtered natural light on every level. Each module can be customized for different uses; the prototype includes a bathroom, dining area, kitchen, bedroom, storage, and workspace. Kokoon was created for temporary lodgers in mind, such as students, asylum seekers, and the homeless. The prototype units, assembled off-site in Otaniemi, were built with a laminated veneer lumber frame and clad in spruce. The interior timber panels and furnishings were left untreated. Kokoon is currently on display at the Museum of Finnish Architecture and the Design Museum and will be displayed in various locations across Finland over the next few years.